The decedent may or may not have left a will. If the decedent had a will, whoever has or finds the will of the decedent is required to send the will to the Register of Wills in the county where the decedent lived at the time of death. A will, however, has no power until it has been admitted to probate. In Maryland there are two kinds of probate – administrative and judicial. Administrative probate is for uncontested wills and is handled by the county Register of Wills. Judicial probate is usually for contested wills, and is handled by the county Orphan’s Courts. 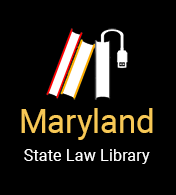 If the decedent did not have a will, that means he or she has died “intestate.” Maryland intestacy law designates who will inherit property from someone who dies intestate. Maryland law also sets out a priority of who inherits property first and the percentage of the decedent’s property each person has the right to inherit. To open an estate, the individual in charge of managing the decedent’s affairs must file the required documents with the Register of Wills office in the county where the decedent had his or her permanent home, also known as the decedent’s “domicile.” The individual in charge of this process is called the “personal representative.” (Sometimes there are multiple personal representatives.) The personal representative is the individual the decedent names as “personal representative” or “executor” in his or her will. If the decedent did not have a will, or did not appoint one in the will, Maryland law says that the decedent’s closest living relative qualifies to take the role, which will be described in more detail later in this series. When the Register of Wills (or Orphan’s Court) appoints a personal representative, it grants the representative letters of administration. Letters of administration empower the representative to distribute the assets in the estate. The personal representative pays the debts of the estate, distributes assets of the estate, reports to the court what he or she did, and closes the estate. The court rules for estates administration are found in Title 6 of the Maryland court rules. Assets of the estate are generally distributed after payment of inheritance taxes and other debts of the decedent according to the will. If the decedent didn’t have a will, the decedent’s property will go to the decedent’s relatives (if any) according to Maryland’s intestacy laws. There are two types of estate administration: one for “regular estates” and one for “small estates.” Small estates are governed by a simpler set of rules than regular estates; the third article in this series can help you determine whether an estate qualifies as a small estate or regular estate. There are a number of steps in managing an estate. The following articles in this series will explain each step in more detail. Sharon Martin and William L. Rodowsky, Practicing pursuant to Rule 16 of the Rules Governing Admission to the Bar of Maryland – University of Maryland Francis King Carey School of Law (2014-2015).